Home > Evolution > Missing Link fossil discovery ? Ida - Darwinius masillae - earliest ancestor found ? Was Ida / Darwinius masillae one of our earliest ancestors and does her discovery mean that the Missing Link has been found? Fig. 1A of the PLoS ONE article about the Ida fossil, published under the Creative Commons Attribution License; any reuse should cite the authors and journal. Has the " Missing Link " been found ? The story of a possible missing link fossil discovery that has been given the familiar name " Ida " after the young daughter of one of the research team's leaders and also the scientific name Darwinius masillae, (to celebrate Messel, her place of origin, and the bicentenary of the birth of Charles Darwin), has become the subject of a special TV production hosted by the well-known natural history broadcaster Sir David Attenborough. This possible Missing Link fossil discovery was originally made, by amateur collectors in 1983, at the Messel Shale Pit, (a former quarry! ), near Darmstadt, and some 35 km southeast of Frankfurt am Main, Germany. Messel Pit was already famous for frequent yieldings-up of interesting fossils and eventually became famous enough, with the discovery of such fossilized creatures as mini-horses, bats, a possible anteater and a tapir, to be declared a World Heritage Site by UNESCO in December, 1995. It seems inevitable that the acceptance of Ida - Darwinius masillae as a fossil of the first importance will only add to that fame. The Ida fossil seems to have been recovered in two portions from the splitting open of a block of shale from Messel Pit. The split shale yielded a part bearing the main fossil elements and a counterpart bearing features that were mostly just a corresponding impression of the fossil itself. The less complete, counterpart, portion was known to science having been purchased in 1991 by the privately run Dinosaur Center at Thermopolis, Wyoming. The ground-breaking research into the Ida - Darwinius masillae fossil was only made possible after Norway’s National History Museum managed to buy the the more truly "fossil bearing" portion of the original from a private collector. Dr. Jørn H. Hurum, a paleontologist at the University of Oslo and a leader of the research, subsequently arranged for a team of German and American scientists to study the fossilized bones with CT (i.e. Computed Tomography) imaging and other advanced technologies. Using contemporary CT imaging technology it is possible to "virtually" cut fossils into digital slices by running them through a supercharged CT scanner, that resembles a medical CAT scanner but has much more power available for image capture. It is currently possible obtain somewhere in the region of 400 "digital slices" across a depth equivalent to the head of a pin - and in much finer details than medical CAT scans, as radiation exposure is not an issue with animal remains. Adapids, or the Adapidae, are a now extinct family of lemur-like creatures related to early primates. The new Ida / Darwinius masillae fossil discovery is that of a nearly complete specimen of a young female Adapid that would have weighed just 0.90-0.95 kg., or 2lb, when fully grown. Ida was less than a year old but had been weaned and had developing teeth. The Messel Pit is believed to have begun its existence as a volcanic caldera lake in which billions of algae bloomed and the expiry of these billions of algae tended to produce oxygen-poor conditions in the lower levels of the lake within which the remains of deceased animals birds and plants could be very slowly fossilized and without being disturbed by disruptive predators or scavengers. Due to this lack of natural disturbance, or "bioturbation", the fossil bodies of some specimens are surrounded by a so-called Hautschatten ('skin shadow'). This dark area, formed out of fossilized waste materials discarded by bacteria as they slowly consumed deceased animals and birds, even preserves impressions of plumage on birds and the individual hairs of mammals. The wing membranes and details of external ears are known from bats. The Darwinius masillae fossil has been described as the “most complete fossil primate ever discovered,” lacks only the lower left limb, and due to the special conditions prevailing at Messel impressions of Ida's fur and of her soft body outline are discernable - the remains of her last meal - comprising fruit and leaves - have been detected in the stomach cavity. The completeness of this fossil discovery has allowed paleontologists to gain new insights into the Adapid family. This sketched representation of Ida, and her kind, is taken from the report published by the research team on the Public Library of Science web site. The image is Fig. S6 of the PLoS ONE article, published under the Creative Commons Attribution License; any reuse should cite the authors and journal. After two years of secretive preparation full details of the project that became the Darwinius masillae study were given at a fanfare launch at the academically prestigious American Museum of Natural History on Tuesday, May 19, 2009, arrangements also having been put in place for an associated TV special, entitled " Uncovering our earliest ancestor : The Link ", to be rolled out world-wide. The project apparently had its origins in December, 2006, at a mineral and fossil fair in Hamburg where Dr. Hurum got into conversation with a private fossil dealer named Thomas Perner who was already known to him and who, over fruity vodka drinks, showed him a few photographs of the fossil, which had been found at Messel Pit in 1983 and had subsequently been hanging on the wall in the house of a German collector. Herr Perner discreetly advised Dr. Hurum that the fossil had already been quietly "on the market" for some six months at an asking price of, wait for it, more than $1,000,000. It seems that at least two prominent German museums had already been approached, possibly with the same or similar photographs, but had baulked at this asking price for a fossil that they had not found to be of proven merit. Although Dr. Hurum does not seem to have actually actually expected it funds were found such that he was able to enter into negotiations leading to the purchase of the fossil. 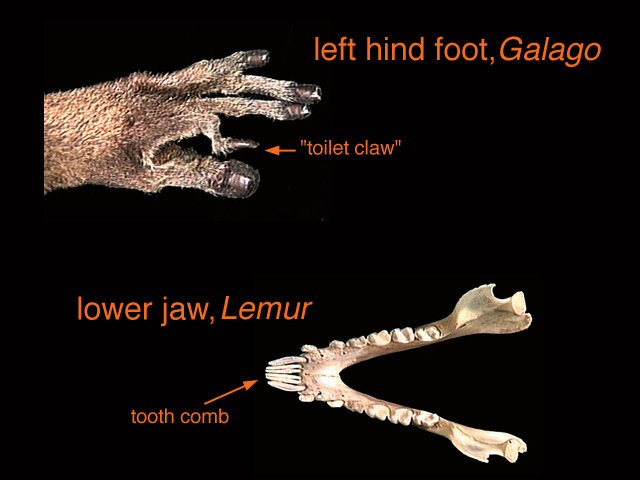 The researches have concluded that this fossil was of a creature that was "not simply a lemur" and that its discovery "is going to advance our knowledge of evolution". 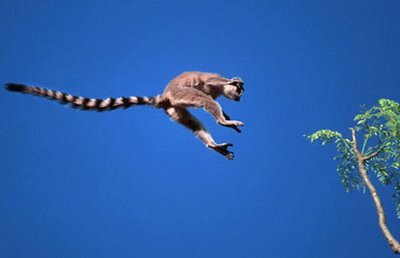 Darwinius masillae differs from lemurs in two key ways - it does not possess the "toothcomb" set of lower front teeth lemurs use to groom fur or the "toilet claws" on the hind feet the lemur family tend to use for scratching leading the researchers to depict it as having been a "Lemur-Monkey". 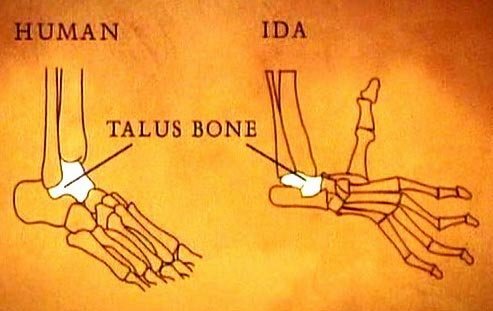 A bone in Ida's ankle called the talus is shaped like that members of our own, Anthropoid, branch of the primates. Ida's nail-bearing fingers and toes also confirm her to having been a primate. It would seem that this extraordinary fossil “is important in being exceptionally well preserved and providing a much more complete understanding of the paleobiology” of a primate from the Eocene period. The Greek derived word, Eocene, actually translates as "New Dawn", and it is in the Eocene that larger mammals are believed to have made their first appearance. 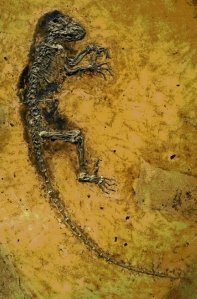 Is this really a Missing Link fossil discovery? Has one of our earliest ancestors been found? At the launch presentation itself ambitious words were used such as the "Missing Link to our Earliest Ancestors" and the "Rosetta Stone of Human Evolution". 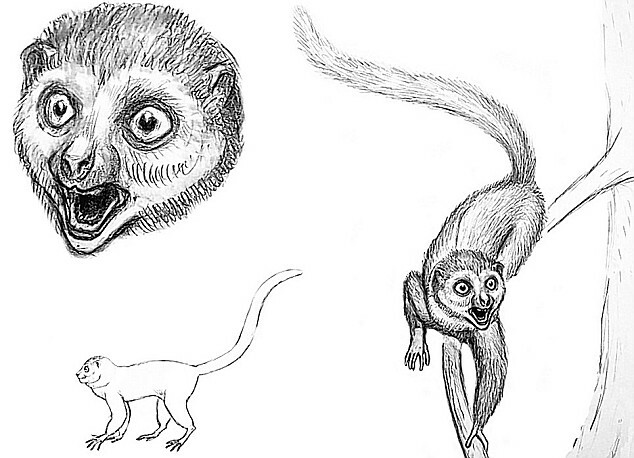 It may be that the Ida - Darwinius masillae fossil will readily become accepted as being a transitional fossil of an early lemur-monkey from the time, 47 million years ago, when lemurs and monkeys were diverging as species. A particularly important clue to her eventual placing in the Primate Evolutionary Tree may arise from the very completeness of this fossil if researchers are ultimately able to discern whether or not this fossil was of a creature that had a "wet" nose. Modern primates are divided into two suborders: the strepsirrhines, or “wet-nosed” primates, include lemurs, bushbabies and lorises, while the haplorrhines or “dry-nosed” primates include monkeys, apes and humans. In preparing their report the research team referred to an number of already accepted strepsirrhine and haplorrhine characteristics and, on that basis, have actually gone so far as to place Ida as clearly tending towards being a haplorrhine rather than a strepsirrhine. 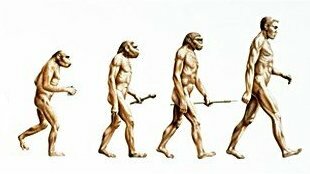 To quote the research teams report, “Darwinius masillae, and adapoids contemporary with early tarsioids, could represent a stem group from which later anthropoid primates evolved, but we are not advocating this here, nor do we consider either Darwinius or adapoids to be anthropoids". A close colleague of, and indeed, collaborator and co-author with, Drs. Gingerich and Hurum on the two-year study of the Ida fossil, Jens Franzen, of the Forschungsinstitut Senckenberg, Frankfurt, Germany, which has an overseeing role for the Messel Shale Pit World Heritage Site, was also at the launch ceremony and hailed the Darwinius masillae / Ida discovery as "the eighth wonder of the world" but also stated that "we're not dealing with our grand, grand, grandmother, but perhaps with our grand, grand, grand aunt" and that "she belongs to the group from which higher primates and human beings developed but my impression is she is not on the direct line." Since May 2009 two other serious studies have actually placed Darwinius Masillae on the strepsirrhine rather than haplorhine evolutionary branch.